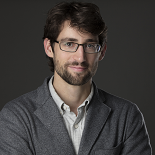 I spent this weekend in Chicago, where along with hundreds of other scholars of city lives, politics, and form, I attended the 2016 meeting of the Urban History Association. It was instructive: a chance to hear from some of the giants in the field, and get a sense of the different questions they are asking about cities, their development, and the people who live in them. It should come as no surprise in this election year and amid the fallout of the 2008 crisis that discussions of race, economic inequality, and gentrification loomed large. 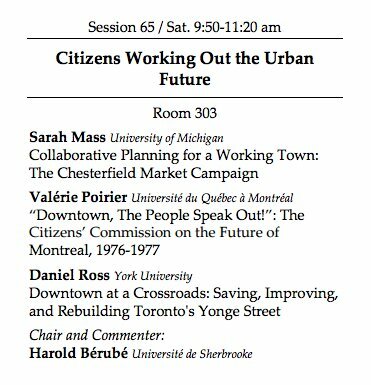 My own panel, entitled “Citizens Working out the Urban Future,” featured three papers dealing with citizen-led initiatives to remake the postwar city, in Toronto, Montréal, and Chesterfield, Derbyshire. We were able to draw some great connections between the very different stories of these three cities, all struggling in the 1960s and 1970s with the future of their commercial centres as public spaces, business hubs, and subjects of intense political debate. Attending the UHA was also an opportunity to visit Chicago, one of the most architecturally impressive North American cities and one of the most-studied urban agglomerations in the world since the days of the Chicago School of social research. 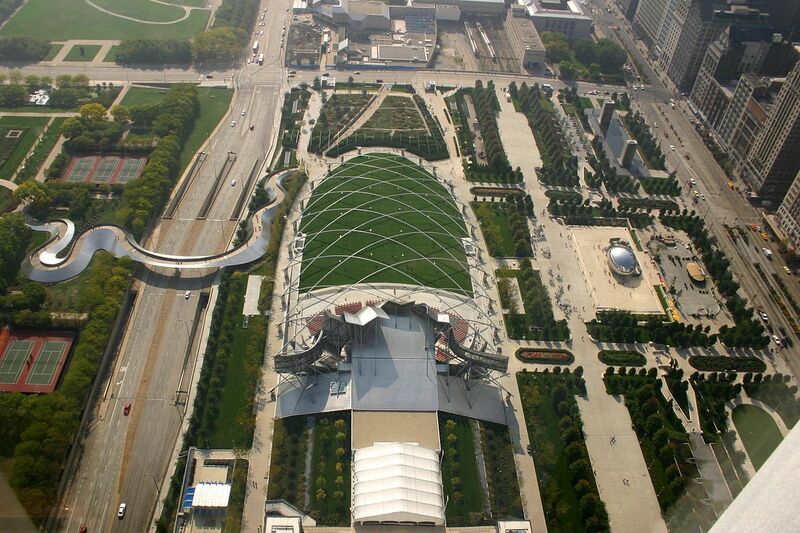 A first-time visitor can’t help but be struck by the ways waves of urban development and investment have given this city not just stunning skyscrapers, but an extensive public realm: a people-friendly lakefront, world-class cultural institutions, and Millennium Park, a recently-established green space at the heart of the Downtown Loop. 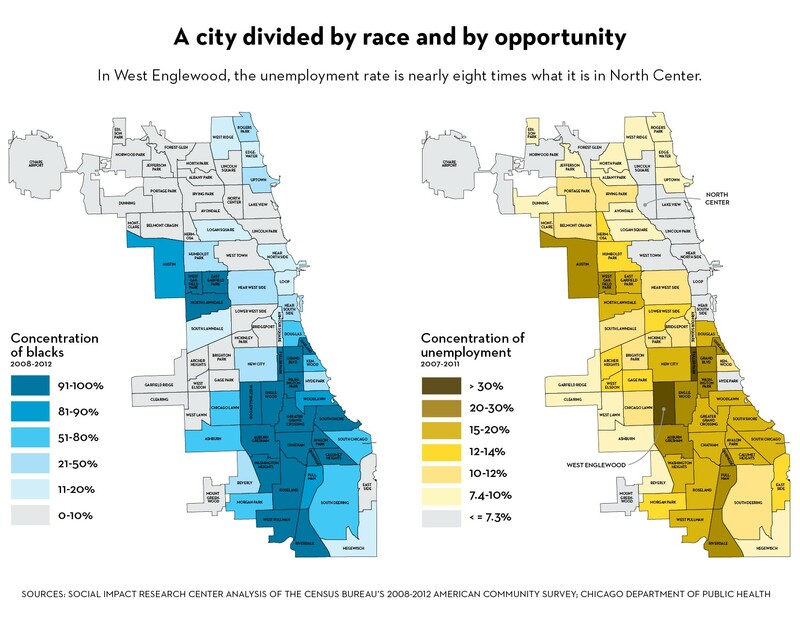 It’s also hard not to be struck by the extent to which Chicago remains a hyper-segregated city, divided into Black, white, and Latino neighbourhoods in ways that haven’t changed all that much since the 1970s. This fact, visible from arrival on the airport El train and reinforced by the talks I heard and a tour of the Pilsen neighbourhood, is fundamental to the way the city works, and it is driving a range of excellent work being done there by urban historians and other researchers. This entry was posted on October 16, 2016 by Daniel in conferences.